The BlackBerry Z3 has finally got its official launch in Indonesia, complete with an official unboxing and hands on from BlackBerry. The device was announced at this year's Mobile World Congress in Barcelona and has gone on pre-order in Indonesia in a special Jakarta Edition (it has the city name inscripted on its body), which were said to start shipping today. Reportedly three Indonesian carriers have already sold out their pre-orders for the under $200 device. The BlackBerry Z3 will be available in stores in Indonesia starting May 15. As for the Jakarta Edition it will be available through BlackBerry Lifestyle stores in Indonesia and through Teletama Artha Mandiri and PT Mitra Telekomunikasi Selular. Sadly the device will likely remain an Indonesian exclusive. 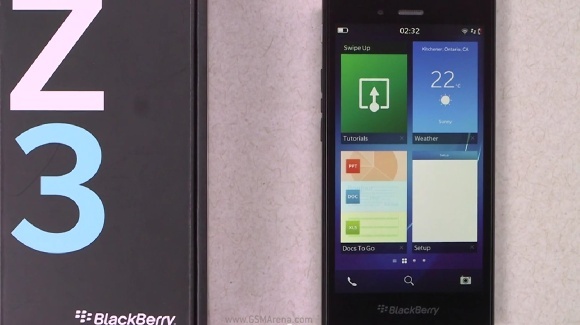 Here goes an extensive 7 minute-long official unboxing and impressions of the BlackBerry Z3. Guys i am confused..android or bbZ3..if Z3 then why? ?does it performs like android os..games like temple run,subway surf..players like mx and vlc players..
we need this phone in Nigeria!